ASHON NESBITT comes to the Florida Housing Coalition with experience in local government, asset management, underwriting and development. 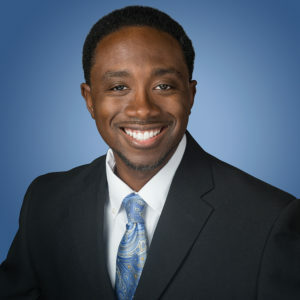 Prior to joining Florida Housing Coalition, Ashon was Project Manager for an affordable multifamily developer in Tampa, managing projects at various levels for a total of nearly $90 million invested, with an emphasis on acquisition and rehabilitation in partnership with nonprofit organizations. Ashon also served as an Asset Manager and Underwriter for a prominent syndicator of low income housing tax credits, with duties focused on investor yield maintenance, tax credit delivery and program compliance. Additionally, Ashon has local government experience, serving two years as Assistant Housing Programs Manager for Alachua County, where he managed the county’s SHIP Down Payment Assistance Program, CDBG Home Rehabilitation program and conducted Homebuyer Education classes. Ashon has Master’s Degrees in Urban and Regional Planning and Real Estate from the University of Florida, and a Bachelor of Science in Architectural Studies degree from Florida A&M University.